Kildeer, Ill. (AP) — Lydia Ko birdied the first hole and just kept rolling from there — all the way into contention for another major victory. 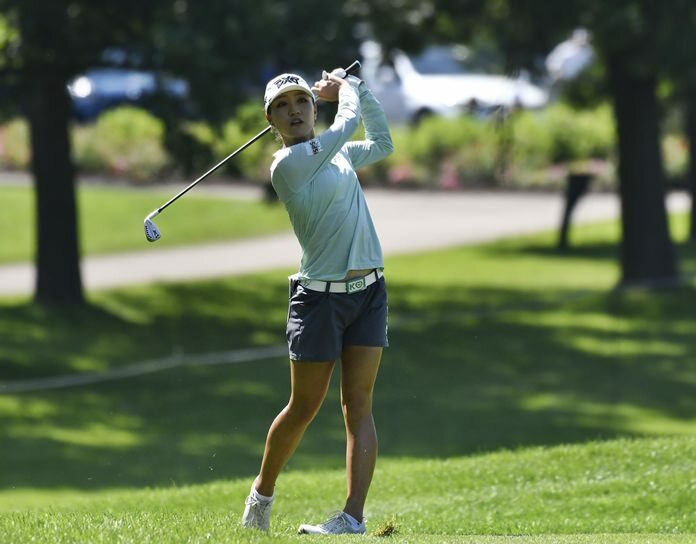 Ko shot a 6-under 66 on Friday in the second round of the KPMG Women’s PGA Championship to move two strokes off the lead. The 21-year-old New Zealander shook off an opening 74 at Kemper Lakes to reach 4 under and give herself a shot to win her third major. Carlota Ciganda (69) was one stroke back, with Ko, Moriya Jutanugarn (72) and Annie Park (69) at 4 under in the third of the LPGA Tour’s five majors. Michelle Wie (74) was 1 over. Top-ranked Inbee Park (76) missed the cut at 5-over 149. “I think I had a bit of confidence coming into this week because of the two top-10 finishes these couple weeks, and I felt like I was driving it pretty good and rolling it good,” Ko said. “And I was able to do one of the two things (Thursday) and one of the two today, so hopefully I’ll be able to put it a bit more together over the weekend. But I think confidence is a huge thing for me, where the swing itself is not too different. It made for faster greens, which certainly didn’t hurt Ko’s short game. Ryu, the 2011 U.S. Women’s Open and 2017 ANA Inspiration champion, did her best to keep up, playing in a group with Ko. Ciganda is trying to win a major for the first time. The 28-year-old Spaniard’s best finish was third at the U.S. Women’s Open this year, and if she did pull one out, she believes it would lead to greater participation back home.